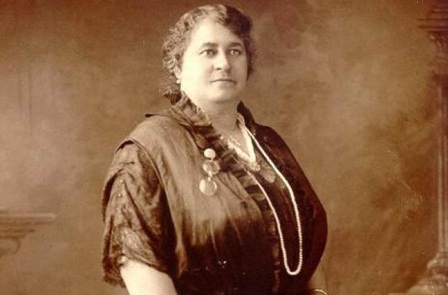 A monument honoring Afri­can-American civil rights advocate Maggie Walker has been unveiled in Richmond, Virginia. A ceremony was held Saturday morning on what would have been the Richmond entrepreneur’s 153rd birthday. Walker was the first African-American woman to charter a bank in the United States in 1903. The statue is in downtown Richmond at Broad and Adams streets. That’s the gateway to the Jackson Ward neighborhood where many of her accomplishments happened. Antonio “Toby” Mendez, monument’s artist, says the 10-foot bronze sculpture depicts Walker at the peak of her life when she was 45 years old. Mayor LevarStoney says the effort to build the monument has been in the works for almost 20 years.